So simple and yet so stylish, there's a lot to love about our Cortona 3-Drawer Chest - from the sleek, space-saving demilune profile to the distinctive brass drawer pulls, pretty vintage hue and time-weathered finish. Crafted for us in Italy of tulip wood, almost any room - entryway, dining room or bedroom - could use this fabulous piece. 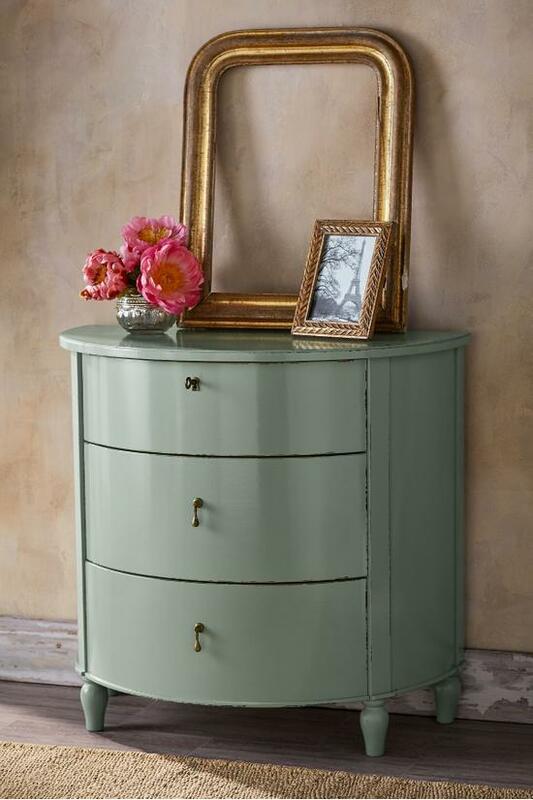 Detailed with turned feet and a keyhole closure at the top drawer. One Size has an additional delivery freight charge of $40.00.